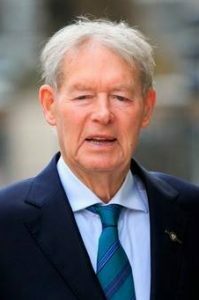 A regular commentator for All-Ireland minor finals, Ó Muircheartaigh took over broadcasting duties for Senior All-Ireland finals in 1985 following in the footsteps of previous commentator Micheal O’Hehir. He commentated on every single All-Ireland senior final up to his last outing in 2010 – the year of his 80th Birthday. This August, Micheál will celebrate his 88th Birthday. The Dingle-born father of eight and grandfather of 12, is a textbook example of healthy ageing — as engaged as ever, exercising, eating well, challenging himself, volunteering, advocating and intellectually and emotionally connecting with people far and wide. Dignitaries who have opened the summer school in the past include former President of Ireland Mary Robinson, Current President of Ireland Michael D. Higgins, former Taoiseach Enda Kenny, Ciarán Mac Mathúna, Labhrás Ó Murchú, Eamon Ó Cuív TD, An tOllamh Tomás Ó Concheanainn, Pádraig Ó Raghallaigh, Dr. James White, Tom Kenny, Ted Williams, Matt Molloy, Cathal Goan, Sean Potts, John McGahern, Breanndán Ó Beaglaoich, Harry Bradshaw, Mary Cloake, Dr. Katie Sweeney, John F.Deane, Padraig Ó hAoláin, Áine Hensey, Peadar Ó Riada, Tommy Peoples, Piaras Ó Raghallaigh, Micheál Ó Suilleabháin, Grace Toland and most recently, Neansaí Ní Choisdealbha. To celebrate Bliain na Gaeilge 2018, the official opening of the Scoil Samhraidh will also include a presentation by Aodán Ó Caoimh on the history of Gaeilg’ Acla (Achill Irish) as well as a showcase of homegrown Achill talent! Scoil Acla Summer School 2018 is a week-long festival of music and culture from July 28th to August 4th encompassing traditional music classes, recitals, workshops, concerts and more! Online bookings are now open and an early bird discount applies for the month of April! For more information visit www.scoilacla.ie, email: info@scoilacla.ie or phone: 085 881 9548.